The “Basic Health and Health Promotion Law of the People’s Republic of China (Draft) ” has been submitted to the National People’s Congress Standing Committee for the first time. 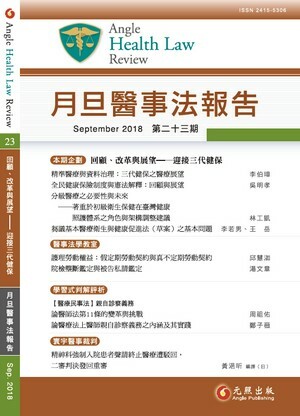 The author puts forward his own opinions and suggestions on the draft from the three aspects of the theoretical basis, the legislative principle, and the hierarchical diagnosis and treatment system of the law. The purpose is to help the revision and improvement of the draft law.